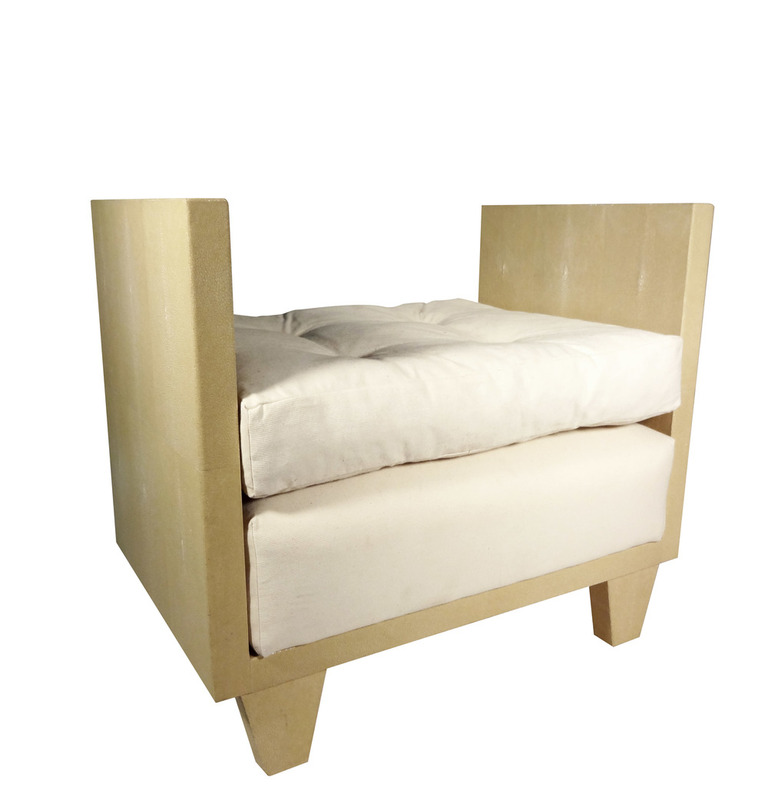 Frank Style Bench covered in CSI Natural Shagreen: Bench supplied with muslin ready cushions, Condition consistent with age and wear of the piece. Sold as is. Dimensions- 26.5"W x 17.5"D x 24"H seat height 17"